Campaign Complete. This project has ended on August 31, 2018. No more contributions can be made. All funds will be collected by August 31, 2018. Thank you for supporting the Loop! You can enter any pledge amount on the next page if the options here are different to the amount of support you would like to give. Thank you for supporting the Loop! Your support will help us scale up our harm reduction service in the UK which has already been attributed to saving lives through the festivals we have worked at. Exclusive T-shirt designed by Chemical X for The Loop. Entitled 'Mysteree T’ he hopes that they will be worn by people that have the wisdom to know that they know nothing. New Summer Safe Sesh T-Shirt in lighter fabric: Our friends at Vice are doing a one off print run of the legendary Loop and Vice 'Safe Sesh' t-shirts that so many of you wanted to buy off us at festivals and in clubs last year. These really are like gold dust! Available in S, M, L, XL and are to be delivered in July. You will be contacted for your preferred size after ordering. Safe Sesh T-Shirt: Our friends at Vice are doing a one off print run of the legendary Loop and Vice 'Safe Sesh' t-shirts that so many of you wanted to buy off us at festivals and in clubs last year. These really are like gold dust! Available in S, M, L, XL and are to be delivered in July. You will be contacted for your preferred size after ordering. Sold Out Festival Tickets: 2 x *Sold Out* Kendal Calling weekend adult camping tickets 26-29 July 2018. Festival Tickets: 2 x Parklife VIP weekend tickets (over 18s) 9-10 June 2018 Tickets include: access to THE VIP COLONNADE - A brand new exclusive backstage garden for Parklife 2018 Stage Door - your VIP only entrance AFTERLIFE - early access to tickets Plus much much more. VIP Sold Out Festival Tickets: 2 x *Sold Out* VIP Hideout Festival tickets 25-29 June 2018, Croatia. 5 days and nights, 5 open air venues, pool, boat and beach parties all on Zcre Beach. (Please note, accommodation and travel are not included). Hannah Wants invites you and a friend to join her for a meet and greet at one of her UK festival dates of your choice. Includes weekend ticket! Andy C invites you and a friend to join him for a meet and greet at one of his UK festival dates of your choice. Includes weekend ticket! The Usual Suspects, Original Artwork: receive this Luxury 20 inch x 20 inch Fine Art Print on stunning metallic paper encased in flawless 6mm acrylic. See main text for further details. Sunrise, Original Artwork: receive this Luxury 20 inch x 20 inch Fine Art Print on stunning metallic paper encased in flawless 6mm acrylic. See main text for further details. Professor Green invites you to make an exclusive cameo appearance in an upcoming music video or a namecheck on his next album. Thank you to the 457 backers who supported the Loop!! We successfully raised £21,649 through the Crowd.Science campaign which is going to make an incredible different to setting up testing facilities across the UK. We will continue to fundraise and if you would still like to support us you can do so through our website. Drug-related deaths in the UK are currently at record levels and nightclubs continue to close as a consequence. Ecstasy-related deaths have increased by a factor of 8 since 2010; cocaine-related deaths have tripled since 2011. Yet each new generation of young people start to experiment with drugs with limited knowledge of what they are taking or what they can do to reduce the risks of their drug use. New technologies now exist to tackle these drug harms, educate young people who take drugs, and gain a greater understanding of substances in circulation. 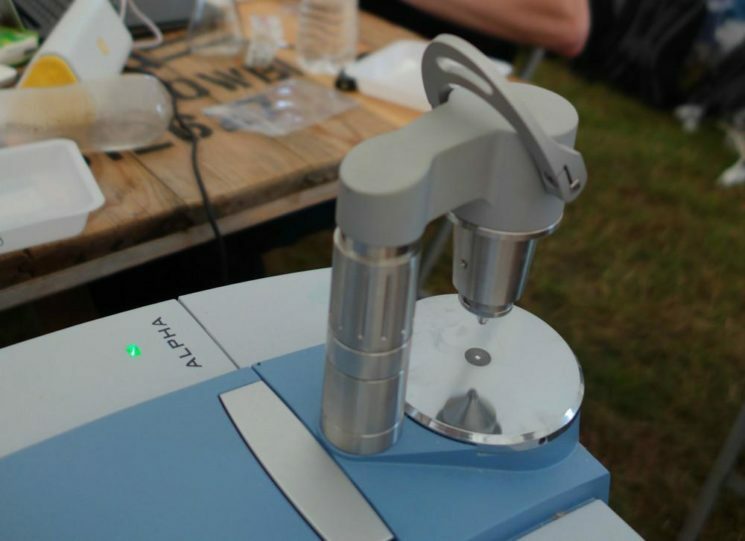 The Loop has successfully provided drug safety testing or ‘Multi Agency Safety Testing’ (MAST) as we call it, at music festivals for the last two summers and now we want to bring this service to city centres with brand new pop-up labs across the UK. The Loop receives no government funding or grants and has achieved what it has to date through the hard work, determination and commitment of our Directors, volunteers, advocates and supporters. We charge a small fee for our services in order to cover the running costs of the organisation. However, if we want to expand our operations to be able to offer MAST in more locations including city centres then we urgently need funds to do this. The Loop is a non-profit social enterprise established in 2013 that provides testing, training, welfare and harm reduction services for nightclubs, festivals and other night-life events. The NGO was founded by co-directors Fiona Measham, Professor of Criminology at Durham University and Wilf Gregory, DJ and promoter. Fiona and Wilf founded The Loop as they were frustrated by the lack of harm reduction advice available to club and festival-goers alongside a growing need for this, given the easy availability and growing diversity of illegal drugs. They share a passion to help keep people safe and reduce drug-related harm at music events, an environment that they have both worked in for over two decades, Fiona as a researcher and dancer, and Wilf as a DJ and promoter. The Loop is an almost entirely volunteer led organisation. We have an amazing team of over 500 qualified and experienced professionals without whom we could not offer our services at events. Our chemists and healthcare professionals all give their time for free. What is Multi-Agency Safety Testing? Our award winning MAST service provides an opportunity for members of the public to bring substances of concern to the Loop’s pop-up lab for analysis. Our chemists analyse each sample to assess their contents and strength. Our healthcare professionals deliver test results back to service users embedded in individually tailored brief interventions, alongside harm reduction advice and information. These tests and brief interventions have been shown to reduce drug-related incidents on site at festivals and even potentially save lives. MAST was first trialled in 2016 at two summer music festivals (Secret Garden Party and Kendal Calling) and then rolled out at three festivals in 2017 (SGP, Kendal and Boomtown). We are the first and to date, the only organisation operating this service in the country. 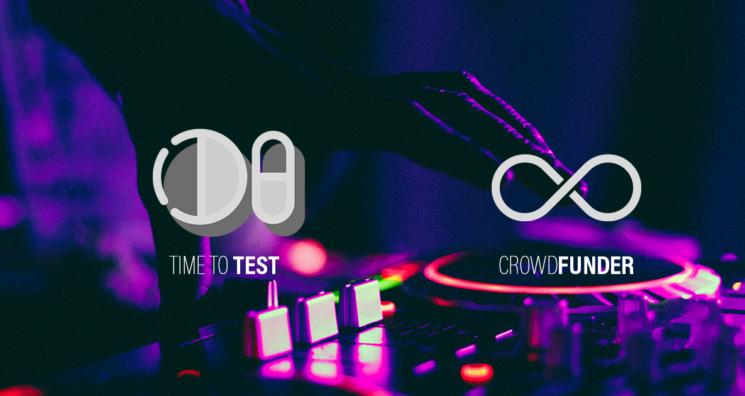 MAST testing has been very well received, you can read testimonials from festival and club management, police, healthcare professionals and users of the Loop’s services here. Secret Garden Party credited us with reducing drug-related hospital admissions by 95% and Boomtown credited us with reducing drug-related medical incidents onsite by 25%. The next step in our journey is to bring MAST from the fields to the cities to help reduce drug-related harm in the night time economy, as supported in recent briefings by the Royal Society for Public Health and the West Midlands Police and Crime Commissioner, and in the Loop’s new report, Night Lives (with APPG/Durham University/Volteface). 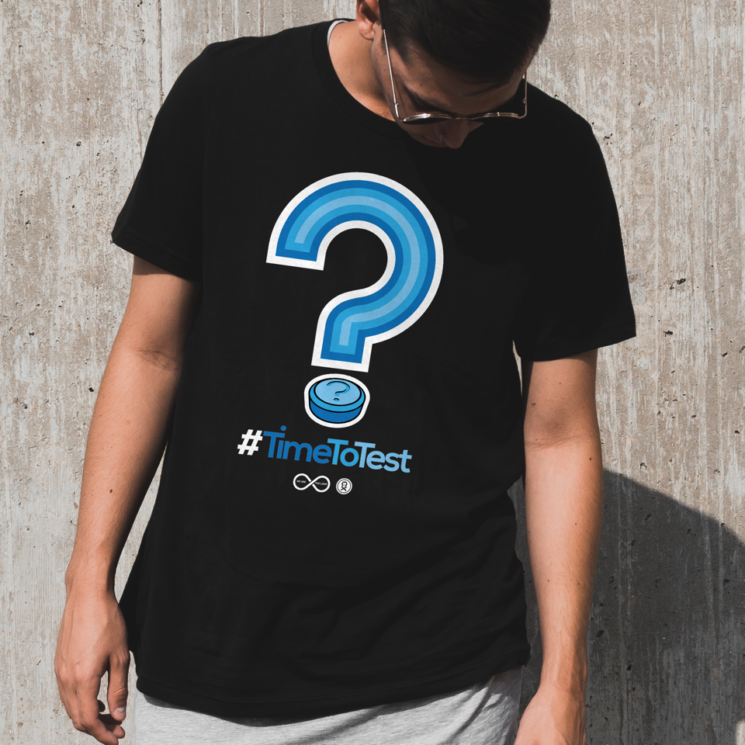 Our #TimeToTest crowdfunding campaign will help us to purchase equipment to expand our pop-up labs to operate around the country in city centres, so we can deliver MAST to many more people. The Loop uses a series of up to four testing methods on each sample – FT infra red spectroscopy, ultra violet spectroscopy, reagent testing & mass loss analysis – to obtain as accurate an understanding of the contents as possible. Infrared spectroscopy (ATR-FTIR) is The Loop’s primary analysis method because it is fast, has a low cost-per-test and has excellent detection ability. Infrared spectroscopy works by shining different wavelengths of infrared light onto a sample which will partly absorb certain wavelengths according to its chemical structure. Because every drug has a unique chemical structure, the absorption behaviour is unique for every compound which allows us to plot a graph called an “absorption spectrum”. We can then use a computer algorithm to compare this unique absorption spectrum to a comprehensive and ever expanding database of substances to locate the closest match with extreme accuracy. UV spectroscopy is used to measure the amount of MDMA in ecstasy pills. This is a well-known technique which is resistant to minor adulteration in pills. It looks at the absorption of light at a single wavelength in the UV spectrum (286nm) which most other compounds do not absorb. Mass loss analysis is a technique developed by the Loop to estimate the amount of MDMA in pills. We use infrared spectroscopy to confirm that the pill contains MDMA, then we use a chemical solvent to extract all ingredients except MDMA. We then weigh the resulting powder to estimate how much MDMA is in each pill. To buy and maintain the equipment needed to conduct this range of in-depth analyses is understandably very costly but is essential if we want to be able to provide fast and accurate results to our service users. Our initial target was to raise £50k by 31st August to purchase state-of-the-art equipment for two more pop-up labs so that the Loop has five regional labs in total in the north, south, east, west and Midlands. Each lab needs to be equipped with a minimum of two key pieces of equipment, an FTIR spectrometer & a Ultra Violet spectrometer, although ideally far more. If we were able to exceed our target of £50k we would use the funds to pay for a number of smaller pieces of equipment and consumables that are used in the lab as well as premises costs for pop up labs and other logistical costs associated with transporting our teams of volunteers across the country to provide MAST. We would also be able to expand our range of testing processes to ensure we are world leaders in the type of services we can offer. Quite simply, the more The Loop can grow our infrastructure, the more people we can deliver our MAST service to. We successfully raised £21,649 through the Crowd.Science campaign. With this funding we will aim to achieve as much as possible that is outlined above and will continue to raise funding to eventually reach our initial goal. All supporters will be kept up to date on the Loop news as well as becoming part of our growing community who support our harm reduction service as an essential mechanism for keeping people safe at events. We have a few extra bonuses for those who support us too! We have been busy reaching out to our network for exciting perks to offer our supporters. So far we have tickets to some of the best festivals in Europe up for grabs as well as an opportunity to have lunch with top DJ B.Traits. We will be releasing new perks and prizes throughout the campaign so make sure you keep checking back. Also, even by making a small pledge you will automatically be put on our mailing list so you will be the first to hear about new prizes and campaign updates. We will also be releasing tickets to sold-out festivals during the campaign so do keep coming back! Chemical X is an secretive British contemporary artist whose highly controversial art is rarely seen in public but is collected by art lovers and celebrities around the world. His current work explores the cultural impact that the prevalence of the drug Ecstasy has made on the UK, and uses the drug itself to challenge the viewer to explore their own relationship with a trusted friend or perhaps a feared enemy. The Early bird T-shirt exclusively designed by Chemical X for The Loop are just £25 (10 available), the rest will be £35. Entitled ‘Mysteree T’ Chemical X hopes that they will be worn by people that have the wisdom to know that they know nothing. 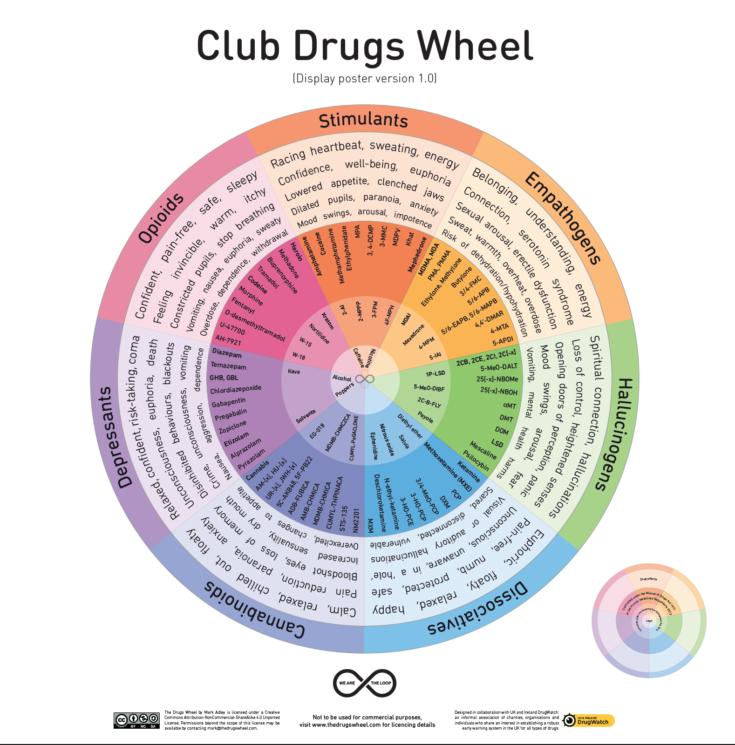 A limited edition A4 Loop Club Drugs Wheel artwork print. This has been designed specifically for the campaign however you can find out more about the drugs wheel at http://www.thedrugswheel.com. Expected delivery August 2018. 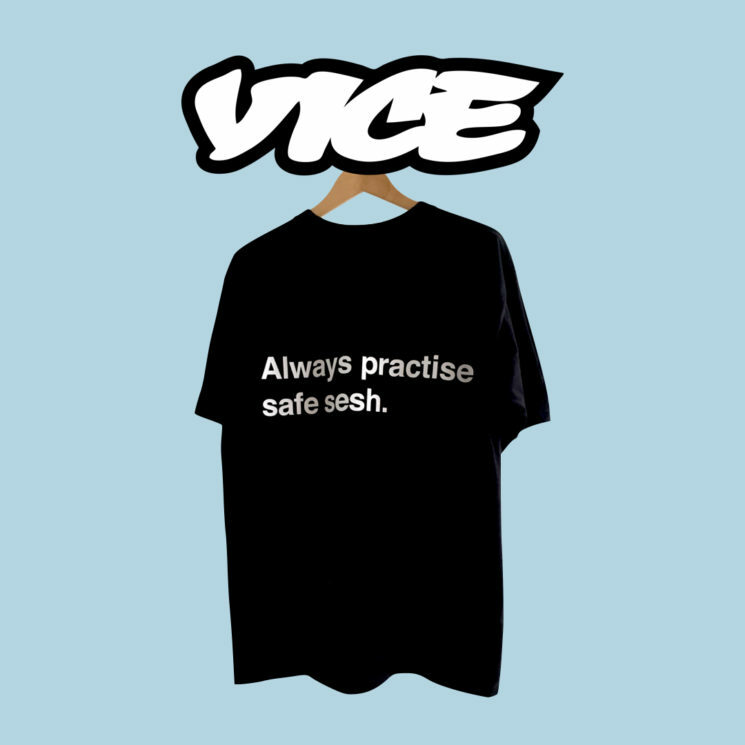 Our friends at Vice are doing a one off print run of the legendary Loop and Vice ‘Safe Sesh’ t-shirts that so many of you wanted to buy off us at festivals and in clubs last year. These really are like gold dust! Available in S, M, L, XL and are to be delivered in July. You will be contacted for your preferred size after ordering. 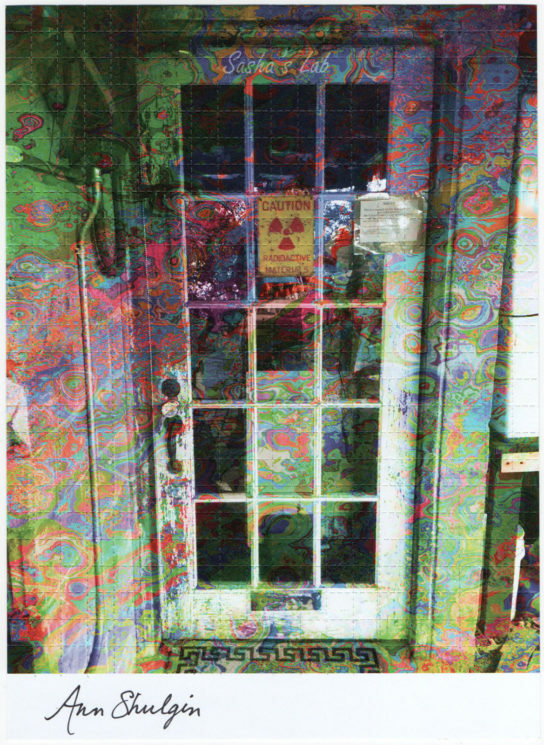 Ann Shulgin signed Blotter art: This sheet of blotter at design depicts the door from Sasha Shulgin’s chemistry lab where he created more than 200 psychoactive compounds, which he tested on himself and his wife Ann. 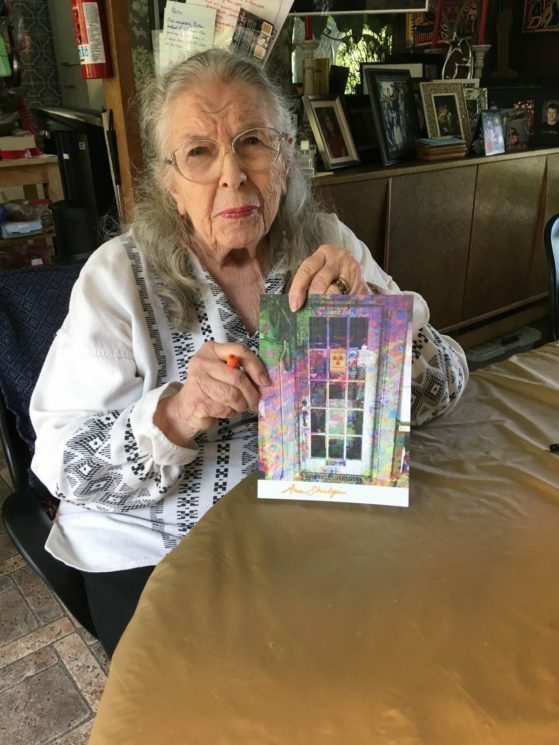 Ann Shulgin had been using MDMA medically in psychotherapy before it was made illegal. The sheet measures 22cm x 16cm including the white border and is perforated into 500 x 8mm squares. 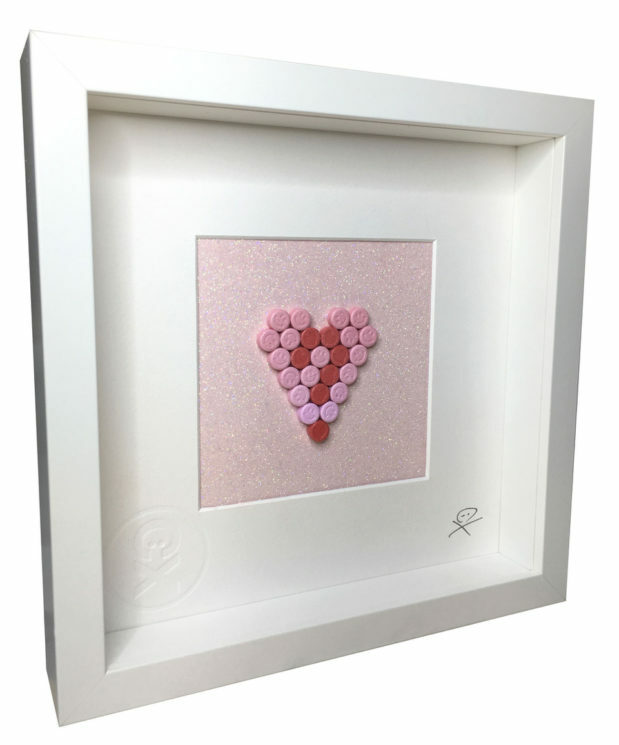 Two one-off bespoke works – one in pink and the other in Blue – featuring a question mark set in a love heart made from 25 replica ecstasy pills set on a glitter background and box framed. Stamped and framed by the artist. Chose blue or pink, one available of each. 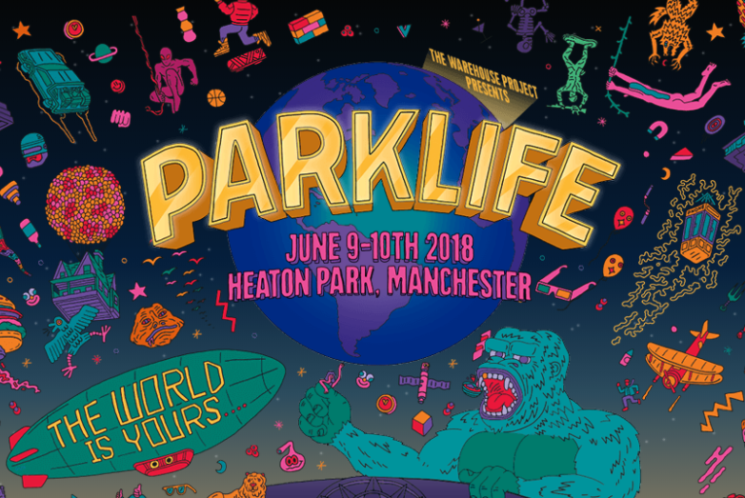 2 x Parklife VIP weekend tickets (over 18s) 9-10 June 2018 in Manchester. Tickets include: access to the VIP COLONNADE – a brand new exclusive backstage garden for Parklife 2018. Stage Door – your VIP-only entrance. AFTERLIFE – early access to afterparty tickets. Plus much much more. 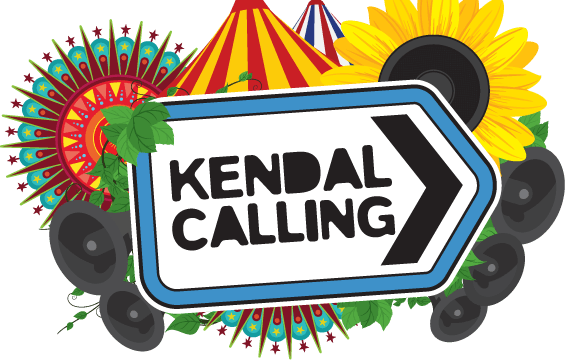 2 x *Sold Out* Kendal Calling weekend adult camping tickets 26-29 July 2018. 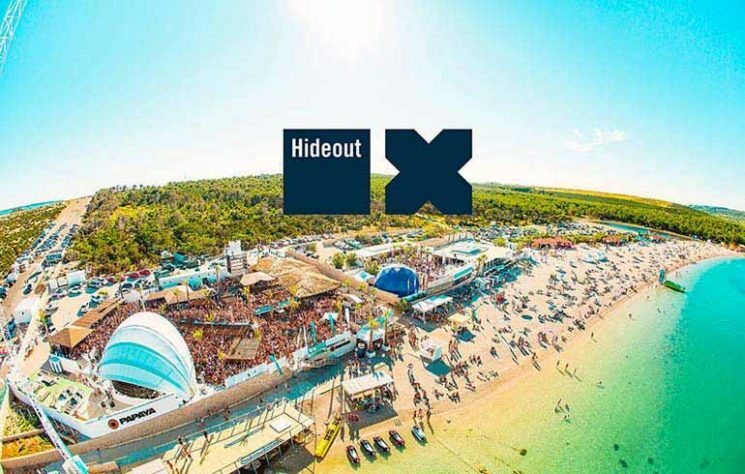 2 x *Sold Out* VIP Hideout Festival tickets 25-29 June 2018, Croatia. 5 days and nights, 5 open air venues, pool, boat and beach parties all on Zcre Beach. (Please note, accommodation and travel are not included). 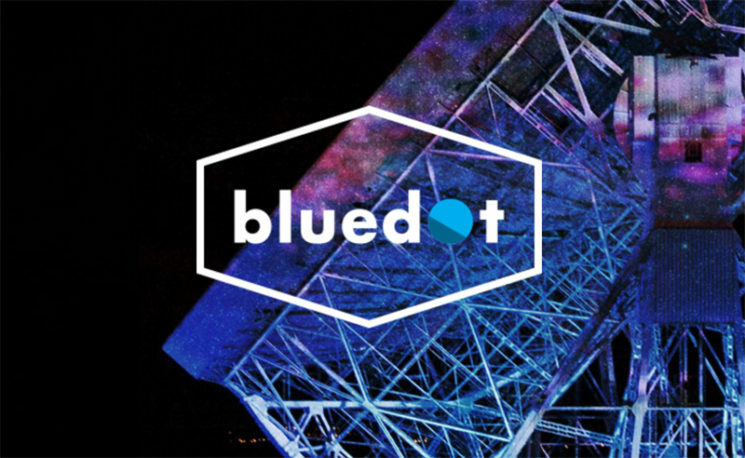 2 x Bluedot weekend adult camping tickets 20-22 July 2018, in Cheshire. Chase and Status invite you and a friend to join them as VIPs with a meet and greet at their headline set at SW4 in London on Sunday 26th August. 2 x Field Day VIP weekend tickets (over 18s) 1-2 June 2018, in London. Tickets include: exclusive access to the Field Day Hospitality Tent, private toilets, cocktail bar and food outlets. Fast-track entry. The Usual Suspects, Original Artwork: receive this Luxury 20 inch x 20 inch Fine Art Print on stunning metallic paper encased in flawless 6mm acrylic. 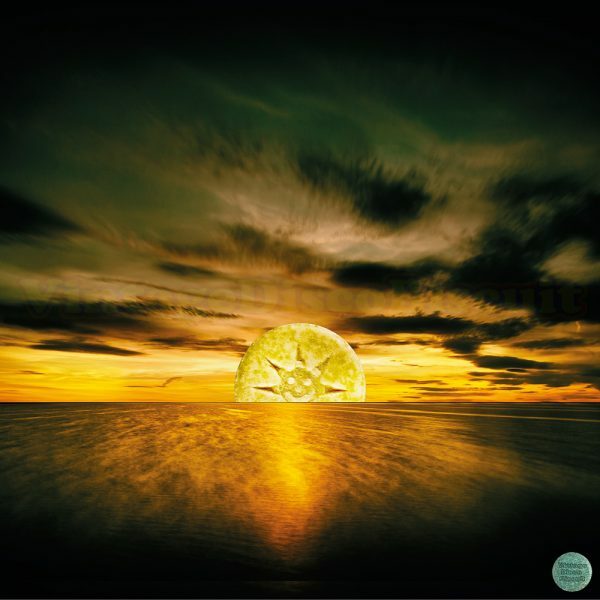 This is a one off composition by Vintage Disco Biscuit, a collaboration between artist Rupert Scriven and photographer Ade Wilson. The concept is to promote safety among younger clubbers involved in ecstasy culture whilst creating a visual link to the past for older ravers to connect with. 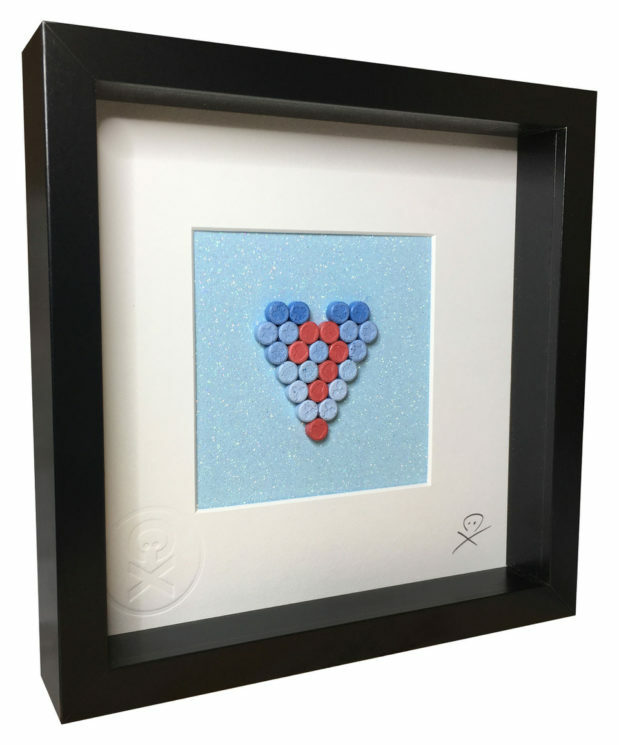 For the collectors among you, the Green Vintage Disco Biscuit Logo in the bottom right hand corner signifies that the print is the original exhibition piece and will be signed as such on the reverse by the artist. Sunrise, Original Artwork: receive this Luxury 20 inch x 20 inch Fine Art Print on stunning metallic paper encased in flawless 6mm acrylic. 2 x Festival Number 6 VIP weekend tickets 6-9 September 2018 in Wales. Tickets include: exclusive access to our new VIP bar located in Castell Park. Complimentary Park & Ride. Express Lanes for coach shuttles. 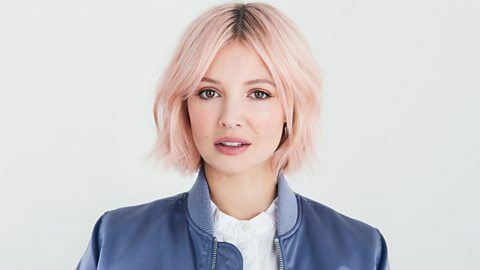 Pledge £1000 – Lunch with B.Traits! Enjoy an exclusive lunch with DJ and Loop patron B.Traits. Lunch to be held in London in September. Professor Green invites you to make an exclusive cameo appearance in an upcoming music video or a namecheck on his next album. See video below to get a taster! 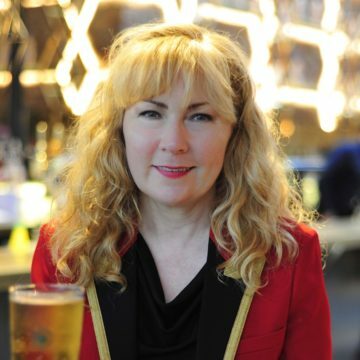 Fiona has been Professor of Criminology at Durham University since 2013, conducted research on changing trends in nightlife, drug and alcohol use and policy implications for over 25 years, and has been going to clubs for even longer. She was the author of the UK’s first academic study on the the relationship between dance music and drugs: ‘Dancing on Drugs: Risk, Health and Hedonism in the British Club Scene’, focused on 1990s Manchester dance clubs. Fiona was appointed to the Advisory Council on the Misuse of Drugs by the Home Secretary in 2009. Other public appointments include to the Home Office Ministerial Expert Panel on New Psychoactive Substances (2014) by Norman Baker MP, Minister for Crime Prevention, to Public Health England’s Drug Treatment Expert Reference Group (2015) and to the Liberal Democrat expert panel on cannabis regulation (2015). Her frustration at lack of progress in UK drug policy combined with her genetic predisposition to contrariness led her to co-found the Loop and she has been on a mission to improve the health, well being and overall experience of clubbers and festival-goers ever since. Read articles by, and interviews with, Fiona here. 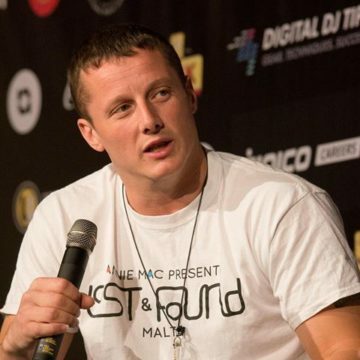 Wilf is the founder and director of a number of festivals across Europe, including Lost & Found and Hideout. His passion for music began from a very early age, and after he first started DJing at the age of 16, it wasn’t long before his path to promoting events was formed, also setting up record labels New Vibe and Bad Attitude. He started his Metropolis club brand in 2002 in Manchester. Despite living a teetotal lifestyle himself, he sees it as the responsibility of event organisers to ensure those at events are aware of their actions. It was this thinking that led him to co-found the Loop in 2013. 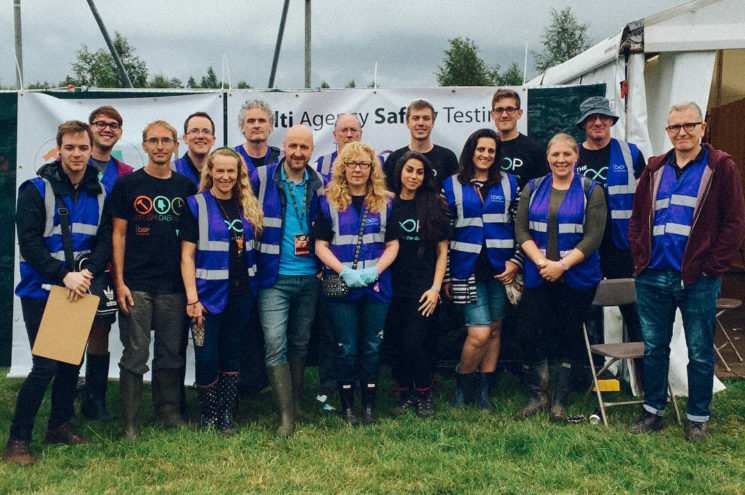 “I have worked closely with The Loop since the first trials of their ground-breaking Multi Agency Safety Testing at festivals in the summer of 2016. I have seen first hand how this service can have a really positive impact at events and play a key role in preventing drug related harm – something that I take very seriously. 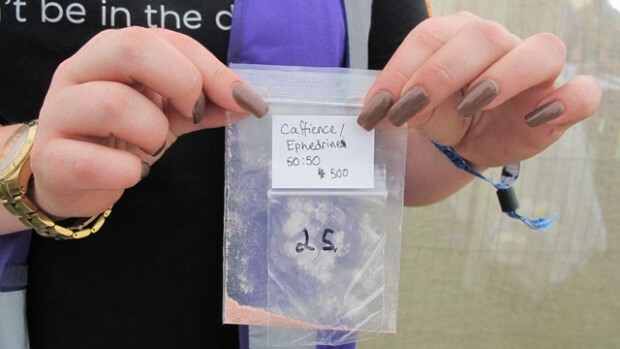 As event organisers, we do everything we can to prevent people from bringing controlled substances on to site and to actively pursue those suspected of drug dealing, but we have to accept that there will always be some substances in circulation and we have a duty of care to minimise risk to festival-goers. MAST has allowed us to do this in a pro-active and practical way. “I observed The Loop in action at The Warehouse Project in Manchester conducting back of house testing and found it a fascinating experience. I was particularly intrigued by the level of technical detail involved with the methods they use to test substances of concern. The Loop’s Multi-Agency Safety Testing service is a truly ground breaking approach to harm reduction. Following the success of the service at music festivals over the last two summers in reducing drug related harm, it is a very exciting prospect that they are now so close to being able to offer MAST in city centre locations.